New IMSA app is maximizing the user experience during live race events! Though the re-developed version of the IMSA app only launched on May 1st, it is already completely changing the user experience during live race events in a number of significant ways. IMSA can now publish app updates to all user devices with immediate effect, getting important updates, videos and other content out to the people with the press of a button. The app itself is incredibly easy to manage and has already been utilized at a variety of events (including the continental Tire Monterey Grand Prix) without intervention from the IK development team. It’s been downloaded over 31,000 times on the iOS platform alone and almost 3,000 times to the Windows Phone platform. Each platform has its own matching app, allowing users full access to this incredible experience in a format that is designed to work on their own personal mobile device. 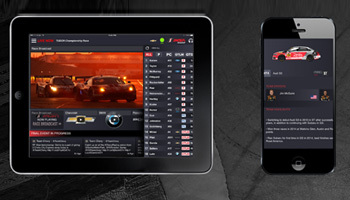 The IMSA app isn’t just a way to recreate the broadcast TV experience on a smaller and more personal device – it’s a way to completely tear it apart and rebuild it from the ground up. If a user is already watching TV, they can use the app to maximize their experience by viewing in car cameras or by getting team and driver details on their mobile device via the app. If the user is at the live event, they can listen to IMSA radio to make sure that they always have the information they need when they need it the most. At its core, the IMSA app isn’t about taking something old and putting a fresh coat of paint on it – it’s about taking something that already exists and making it exponentially better for the benefit of users everywhere. Even though the IMSA app was only recently released, it is still completely revolutionizing the user experience in a number of interesting and important ways. The IMSA app includes the native ability for a user to receive push notifications, for example, allowing them to get automated reminders prior to certain events that they may want to watch. This means that they won’t have to worry about missing even a second of the high-stakes action that they’re already so heavily invested in. The IMSA app also allows users to view post event videos, which lets the user continue the experience on their own terms and catch up on certain activities even if they originally missed them when they were broadcast on live TV. At its core, the new IMSA app is all about empowerment. It’s giving the user the tools necessary to experience live race events however and wherever they want without restriction. If the user wants constant, unfettered access to live footage, they’ve got it from one easy to use platform. If they want to catch up on events that they missed after a hard day at work or school, they’ve got that, too. In just a short period of time, the IMSA app is already changing the face of live race events for all time and for the better. Want to take your app to the next level? If your app is infuriating to use, users will give up and find an alternative. User experience design also referred to as UXD or UED, is the process of enhancing user satisfaction by improving the usability, accessibility, and pleasure provided in the interaction between the user and the product. User experience design combines the user interface, user workflows, animations, gestures, artwork and the overall feeling your app gives to the user. The mobile UX design can make or break the entire user experience and high attention and effort is required on features and designs of an app. Usefulness – How can it simplify or make tasks easier? 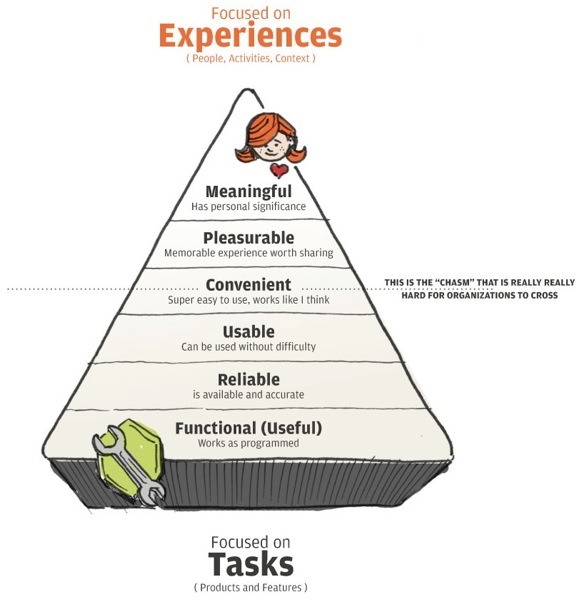 Usability – Is it user-friendly? Uniqueness – Is it offering something other apps don’t? Accessibility – What is the load time? Do users quickly and easily find what they’re looking for? Involve your UX designer and developers as early as possible into the project. Working with both a UX designer that has an understanding that software is not simply code and a developer team that appreciates the expertise of beautiful and intuitive design can lead to stunning results. The whole team can work together to perfect the app’s user interface. Screens can often be cluttered with too many actions to take, but lower functionality pages often leave users with no next action to take to continue their journey. This also brings up the topic of habituation. Habituation is when a user becomes trained to do a certain action they no longer need to think about it. Using consistent actions to create a focused experience will allow users to quickly and easily explore the app. When designing your app, you need to understand who you are designing it for. App developers tend to be in the age range of 30 to 55, also known as Generation Xers. The two largest demographics in the U.S. are Baby Boomers (55+) and Millennials (Under 30). Knowing who will be using your app can help you build what they want: an intuitive app that meets a need.